Tuesday 13th was a huge day for our family. Michelangelo received the Gifts of the Holy Spirit when he made his Confirmation, taking the name Bernard. Jelly Bean made her First Holy Communion. Yes, this is the moment when Mama burst into tears as JB bought up the Offertory Gifts. 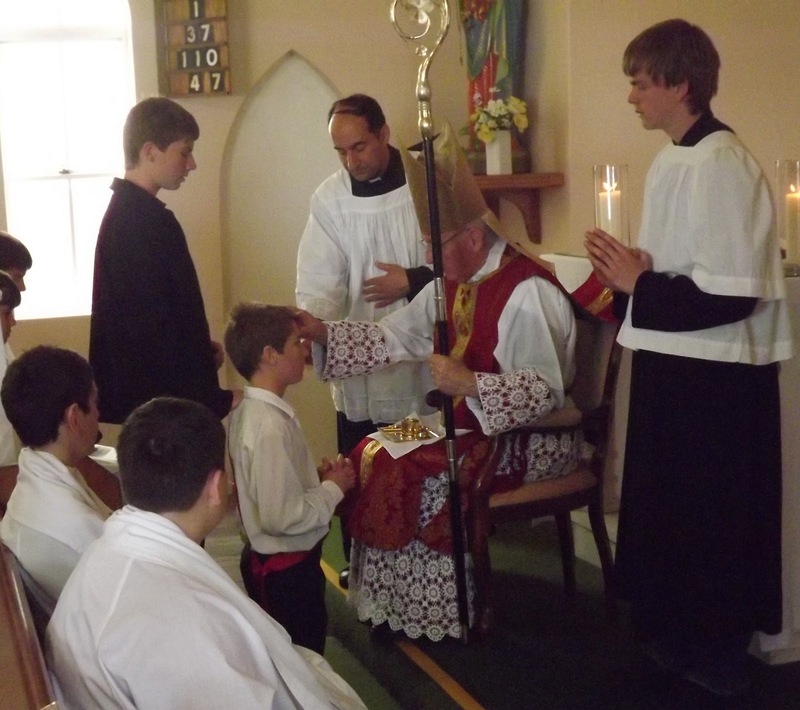 As with their older siblings our two made their Sacraments at our Catholic Homeschool Camp with our Bishop. 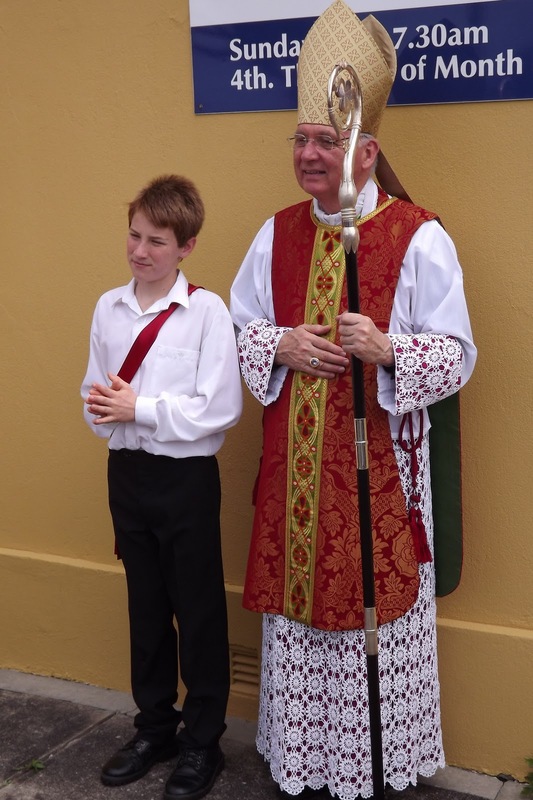 Once again a beautiful Mass. Michelangelo with our Bishop. Our handsome boy, looking so grown up. Einstein was very honoured when Michelangelo asked him to be his sponsor. He takes his role very seriously. There is something so precious about little girls in their First Holy Communion dresses. Our baby girl, I cried when I packed away her veil. 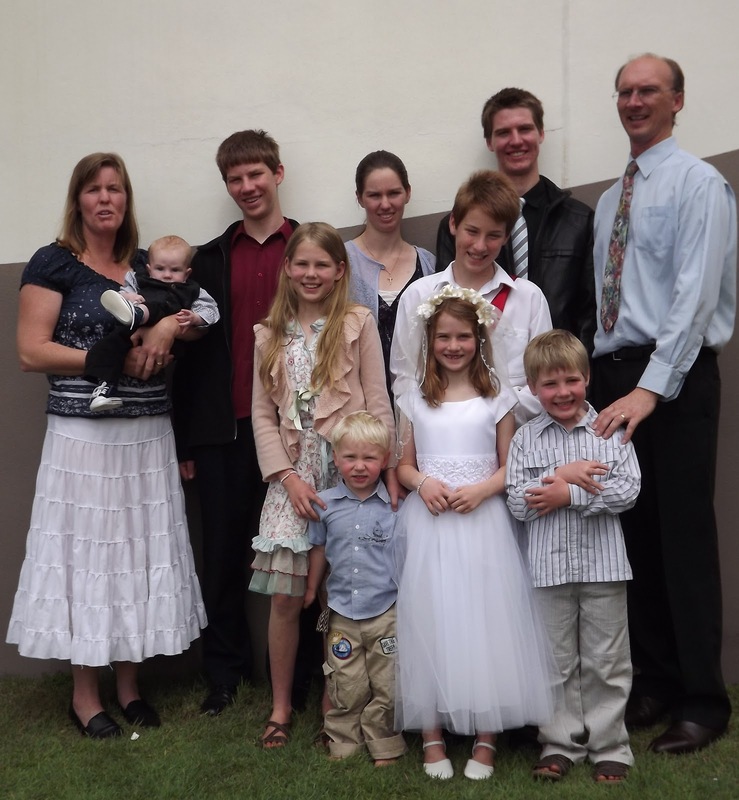 Another family shot, two years ago on. 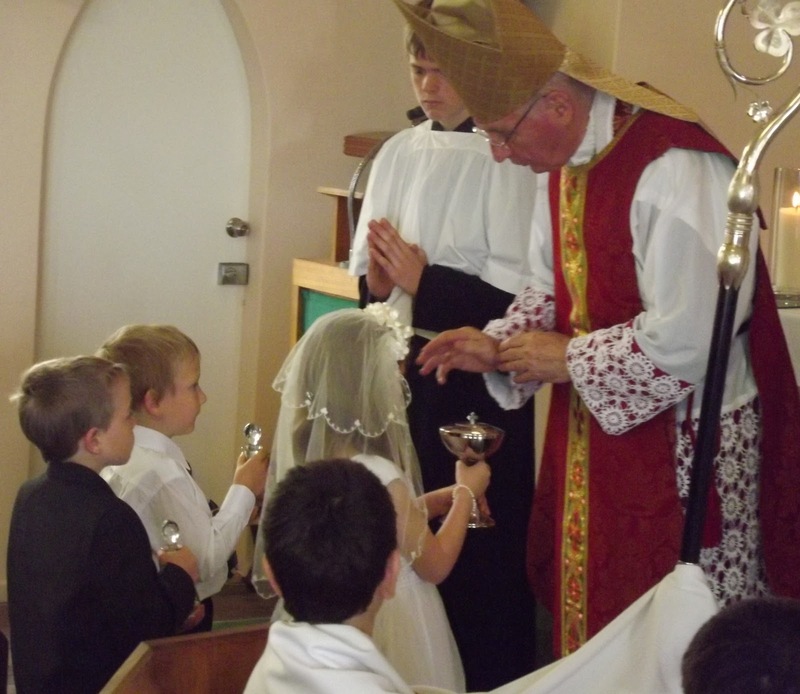 Only this time we have two Sacramental children. 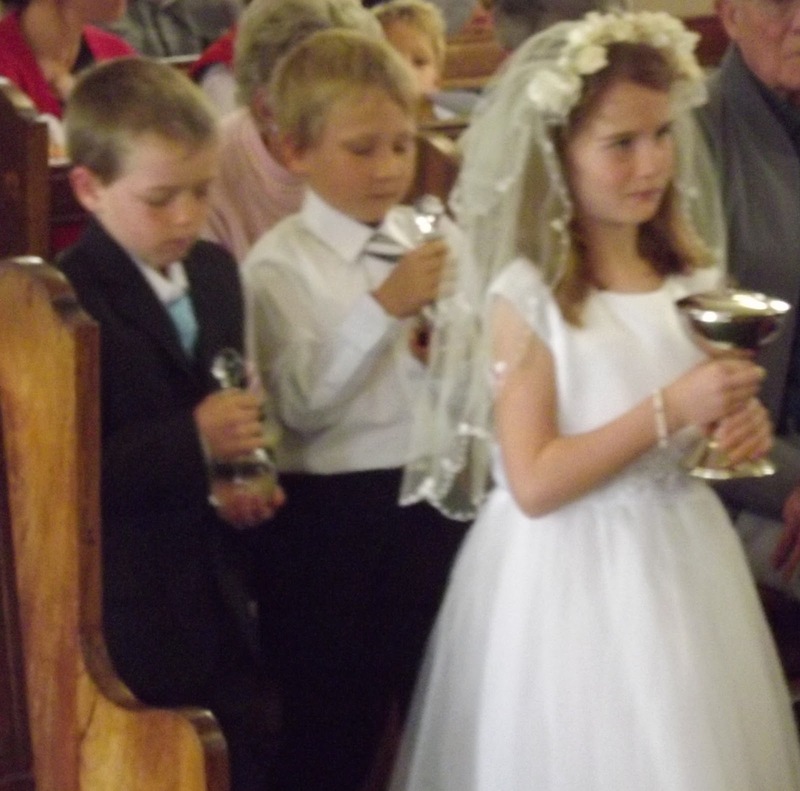 Erin, I cried at every one of my children's First Holy Communions too. There's no more to come. Sigh! I'll be crying at weddings next! Congratulations to your children. They look so beautiful. praise God for such a blessed day. my the graces received sustain your beautiful family. The photos are lovely, Erin!